“168 Hours” — an exhibition by Jennifer Drinkwater, Iowa State University assistant professor of art and visual culture — is on display July 1-31 in the South Gallery of the International Gallery of Contemporary Art in Anchorage, Alaska. A First Friday opening reception will be from 5 to 9 p.m. Friday, July 8. 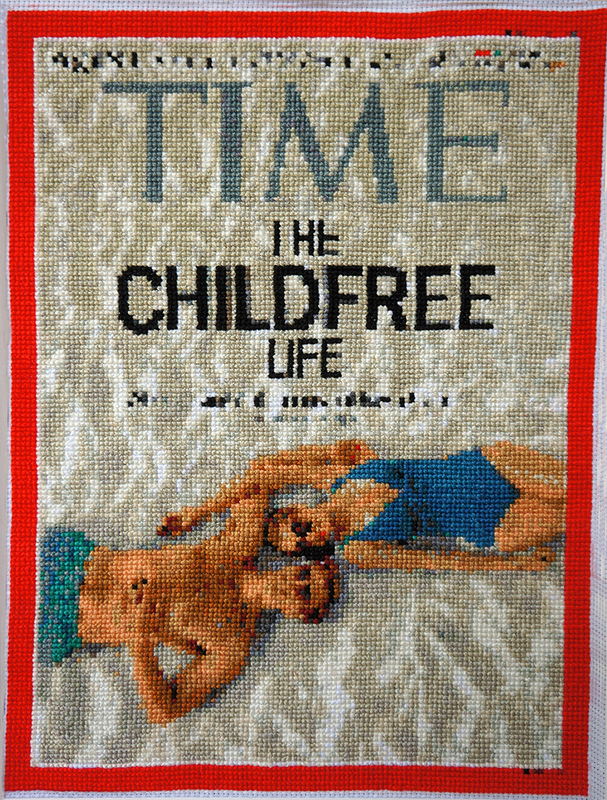 The exhibition features a series of embroidered covers of two of the most popular weekly magazines in the United States, Time and People. Drinkwater began her project in 2013, seeking to create an archive documenting the strange intensity and urgency of the carefully constructed covers in response to the short shelf life and extreme market competition these publications face. 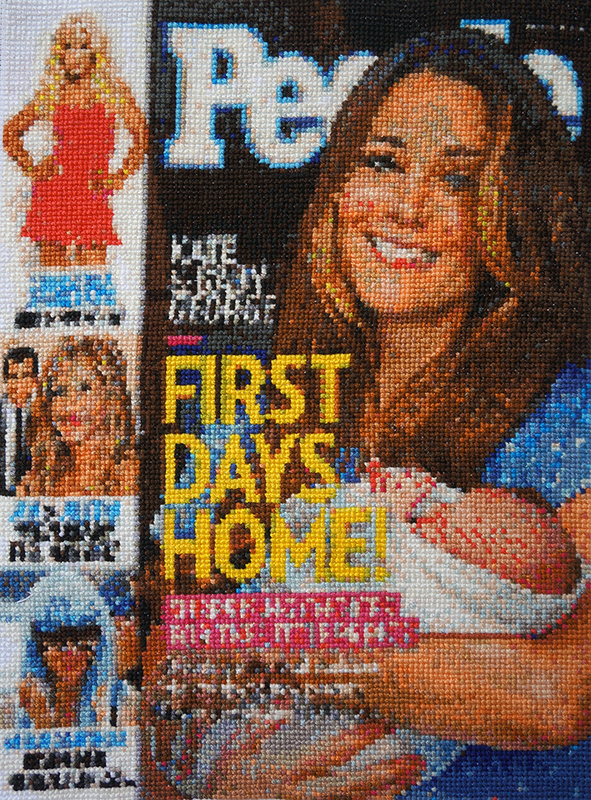 Covers of issues released the same day are juxtaposed, creating a broader documentation of our culture and inviting viewers to formulate their own perceptions.